60 months/60,000 miles (engine, transmission/transaxle, front-wheel drive, rear-wheel drive, seatbelts and air bags). Coverages vary under Federal and California regulations. Refer to applicable Owner’s Warranty Information booklet for details. Hybrid-related components, including the HV battery, battery control module, hybrid control module and inverter with converter, are covered for 8 years/100,000 miles. The HV battery may have longer coverage under emissions warranty. Refer to applicable Owner’s Warranty Information booklet for details. 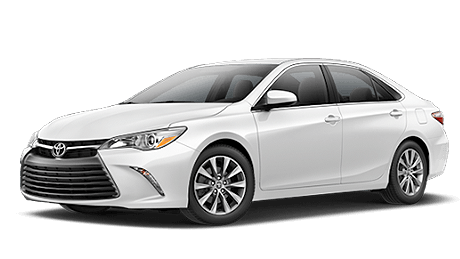 For accessories purchased at the time of the new vehicle purchase, the Toyota Accessory Warranty coverage is in effect for 36 months/36,000 miles from the vehicle’s in-service date, which is the same coverage as the Toyota New Vehicle Limited Warranty. For accessories purchased after the new vehicle purchase the coverage is 12 months, regardless of mileage, from the date the accessory was installed on the vehicle, or the remainder of any applicable new vehicle warranty, whichever provides greater coverage, with the exception of car covers. Car covers are warranted for 12 months from the date of purchase and do not assume any coverage under the Toyota New Vehicle Limited Warranty. (1) Whichever comes first from date of Toyota Certified Used Vehicle purchase. The Comprehensive Warranty covers any repair or replacement of components which fail under normal use due to defect in materials or workmanship. (Program not available in Puerto Rico and Hawaii. (2) Whichever comes first from original date of first use when sold as new. See your Toyota Certified Used Vehicles dealer for warranty details. Program not available in Puerto Rico and Hawaii. 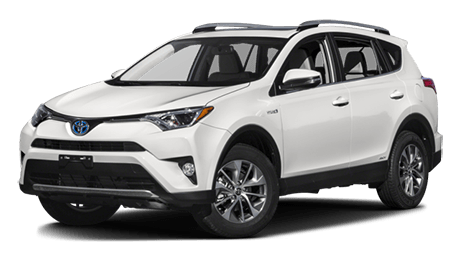 For AL, FL, GA, NC & SC, warranty coverage differs in the following ways: 7-year or 100,000-mile Toyota Certified Limited Powertrain Warranty coverage begins on January 1st of the vehicle’s model year and zero (0) odometer miles and expires at the earlier of seven years or 100,000 odometer miles. (3) From date of Toyota Certified Used Vehicle purchase. Covers most services, including flat tires, lockout service, jump starts, fuel delivery up to 3 gallons and towing for mechanical breakdown or collision recovery to the nearest Toyota dealership. Services provided exclude any parts required. Coverage not available in Mexico. See Certified Warranty Supplement for warranty details. (4) Daily reimbursement limits will apply.See your participating Toyota Certified Used Vehicles dealer for details. For complete details about Toyota’s warranties, please refer to the applicable Owner’s Warranty Information booklet or see your Toyota dealer.